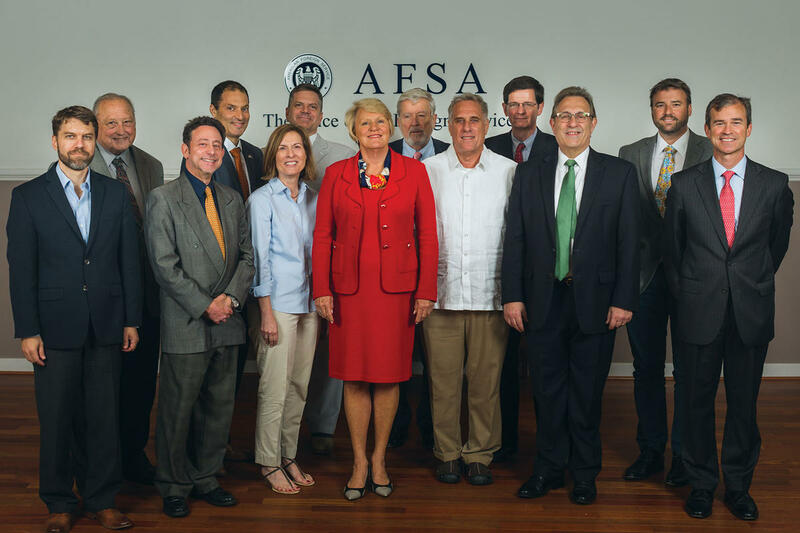 The AFSA Governing Board is elected by the membership every two years and is composed of representatives from each AFSA constituency. The entire membership elects three officers - President, Treasurer, and Secretary. Each constituency then casts votes for its agency or retiree Vice President and representative positions. Currently, the board has 20 members - in addition to the three officers, there are five Vice Presidents (State, USAID, FAS, FCS, and retiree), five State representatives, one representative each for USAID, FAS, FCS, USAGM and APHIS, and two retiree representatives. Click here for more information about AFSA elections. The board's constitution is governed by the AFSA bylaws. It has been the policy of AFSA boards to seek to be as diverse and representative as possible. The current board’s term ends on July 15, 2019. The basic responsibilities of a governing board are to set the mission and purpose of the organization, ensure effective planning, select/support and evaluate the chief executive, monitor and strengthen programs and services, ensure adequate financial resources, protect assets and provide financial oversight, build a competent board, ensure legal and ethical integrity and to enhance the organization's public standing. AFSA Governing Board position descriptions can be found at the bottom of this page. The Board represents the entire AFSA membership and encourages comments and suggestions from people in the field. If you are a member of AFSA, we hope you will also consider serving on a future AFSA Governing Board, working on behalf of your colleagues for a two-year term. What Are the Duties of Governing Board Members? The AFSA Governing Board meets monthly at AFSA headquarters, 2101 E St NW. The next two meetings will be on May 23 and June 19, which will be the last meeting of the current board. Suggest an agenda item.